Today our Reception classes visited Smithills Farm. We had a fantastic time! The children's behaviour was outstanding and they did the school and their parents and carers proud. 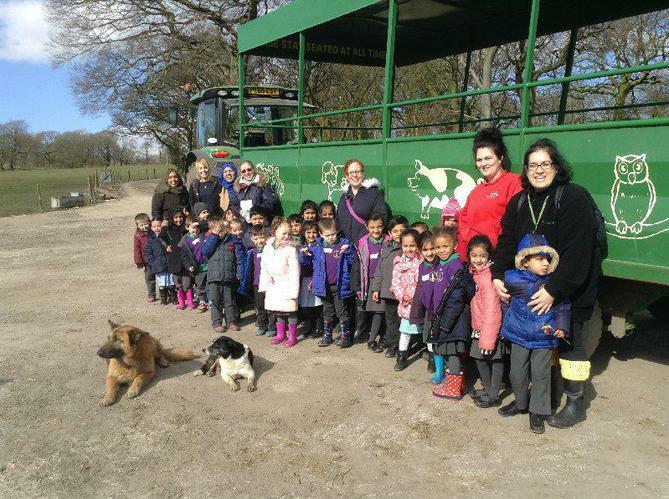 We had fantastic weather which enabled us to take part in all of the activities planned including a tractor ride, feeding animals, petting rabbits and baby llamas and they even got to watch cows being milked! It really was a brilliant day down on the farm.